Shake down my list of Top 10 Favorite Movies of All Time and you’ll find three of Wes Anderson’s four films there: Rushmore (which is number one and always will be), Bottle Rocket and The Royal Tenenbaums. I love The Life Aquatic with Steve Zissou, too, but there’s not quite a spot for it in the Top 10. I love everything about Anderson’s films, from the way he uses songs to tell the story to the way he uses color to tell you who a character is to the sweetly odd but always endearing ways he portrays humor and heart. Which is why I’m ridiculously excited about his newest film, The Darjeeling Limited, which is about an older brother (Owen Wilson) who takes his two younger brothers (Jason Schwartzman and Adrien Brody) on a train trip across India in a well-meaning — but probably hilariously misguided — attempt to pull the three men together after their dad dies. What’s in the pirate box? What’s in the pirate box? … for a cornucopia of viewing sizes. 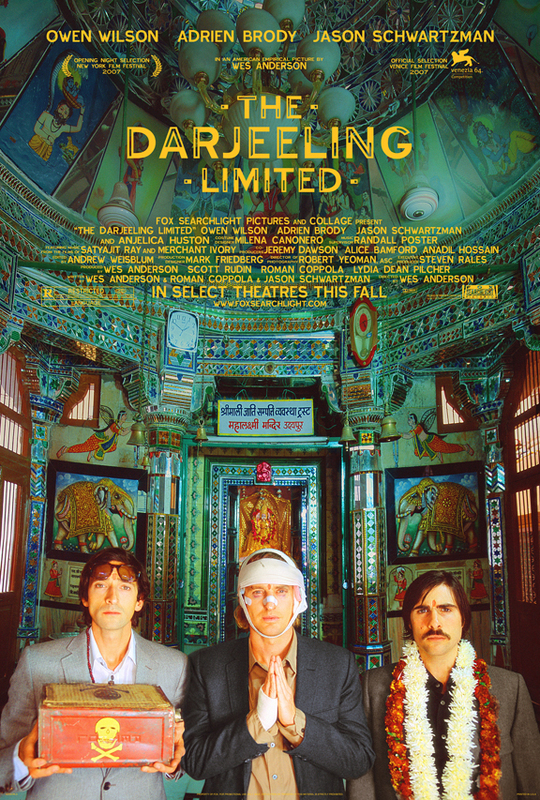 The Darjeeling Limited hits the New York Film Festival on September 28 and will hopefully find its way to a theater near me shortly thereafter.